The synthesis essay presents an opportunity to derive new knowledge out of data that already exists, by combining information gathered from different sources to develop an argument or new, original viewpoint on a certain topic. It pulls ideas from multiple sources through a deep research to discover insightful and meaningful connections that will later be presented in the paper. 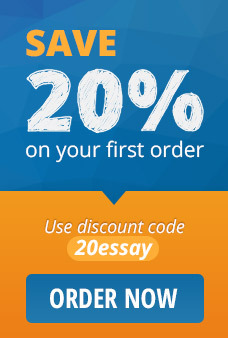 Writing this essay form helps you exercise your ability to digest information and present it in an organized manner that delivers the intended message to the readers. Before you start writing your synthesis essay you must first formulate your own purpose and key statement on the basis of the themes and traits you need to look for, and build your own perspectives and interpretations on the matter. Combine your opinion with the ideas you’ve found in more than one source, but make sure they all make sense for the reader to be able to understand them in greater depth. Explore different ways in which you can organize your synthesis based on what you find as a resource, or what you think is interesting for you to demonstrate. Start the essay with your thesis statement that sums up the main focus of your synthesis. Explain to your readers what sources will be synthetized in the paper and list each title of the sources followed by the name of the author. You can also provide appropriate background information about the authors, as well as about the texts covered in your essay and the general subject matter from which the sources are drawn. Proper organization is essential when writing a synthesis essay. You can best select the format that’s most effective for your topic if you follow the patterns you’ll see in the material for the assignment like theme, point, similarity or different aspect of the matter. Include information in the body paragraphs from more than one source, clearly indicating what information comes from what source, and showing the differences and similarities between them as a way to make the paper as informative as possible. At the end of your paper write a conclusion that reminds the readers of the most significant information and sources you've found and the ways you've connected them to your synthesis'main topic. You can also add few comments on the points you couldn't discuss in this paper that will possibly interest the readers into researching the subject further.